I’m lucky to live in the Pacific Northwest, where great rural roads are a quick ferry ride away from downtown Seattle. Depending on the ferry, I can go from my doorstep to relatively quiet rural roads in under an hour. Not bad for the fastest growing city in the US with a metropolitan population of more than 3.5 million people. Riding these roads is usually pretty uneventful, if not downright serene. 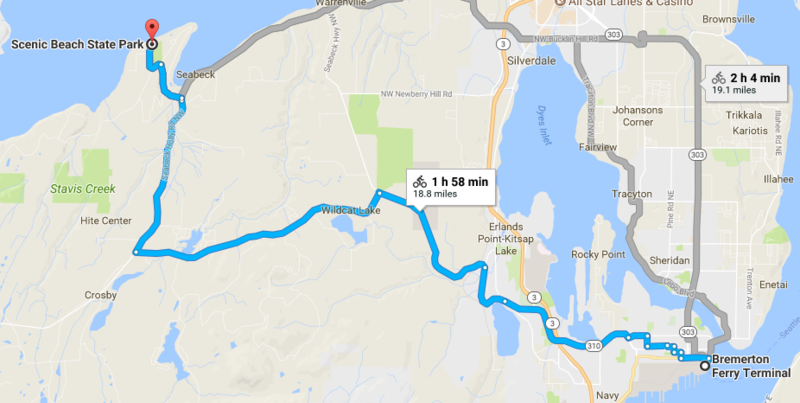 Many of my favorite routes to close campsites (see this post for a quick rundown) have great shoulders for riding bikes on, and some even have dedicated bike lanes. I get bored with the same destination over and over, however, and often find myself exploring new roads and route. These routes come to me from a variety of places – creeping on randonneuring maps, zooming in on Strava friends’ routes, and crowdsourcing. I’ll often fall back on the Washington State Gazeteer I invested in last year, which is always the most helpful in figuring out actual routes. The challenge with these rural and suburban roads is that often they lack critical infrastructure that makes the kind of riding I like to do safe and comfortable. Sure, it’s legal for me to ride my bike there, but is it actually safe? I have Scenic Beach as a recommended spot on my list of spots within an hour-ish of Seattle, but might need to edit the description a bit. The last time I rode out there this summer I was white knuckled with fear the entire time I climbed up Northlake Way, a long, slow, twisting climb with no shoulders. As cars came up behind us, I could hear them swerving around us, as they didn’t know we’d be in front of them going so slow, nor was there a safe space for us to ride off to the side. Notice the speed limit and shoulder conditions. Where would you ride? So on rides like this, what do you do? Obviously, safety is paramount, as there are already far too many bike/car collisions. Also, I think it’s important to recognize our vulnerability on the road as cyclists, as we are by far the softest thing out there. I am as assertive, yet empathetic to road users as possible, while still taking up as much space as is possible and safe for myself. 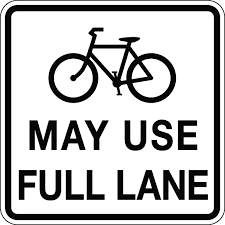 Often, this means riding just to left side of the white line (in the car lane), or sometimes, even taking the full lane. I try and wave to drivers who slow down for me, pull over when climbing in a pullout to let cars who are going slow behind me to pass, and in general, be a cooperative road user. As somebody who drives (occasionally) it can be very frustrating to see what appears to be a selfish person on a bike. I try and avoid that situation, smile at drivers, and yet still take the lane. I’ve ridden with men before who get honked at, yelled at, and things thrown at them. Their experiences touring/traveling in a rural area is way different than mine, so I can’t really offer any advice for that.